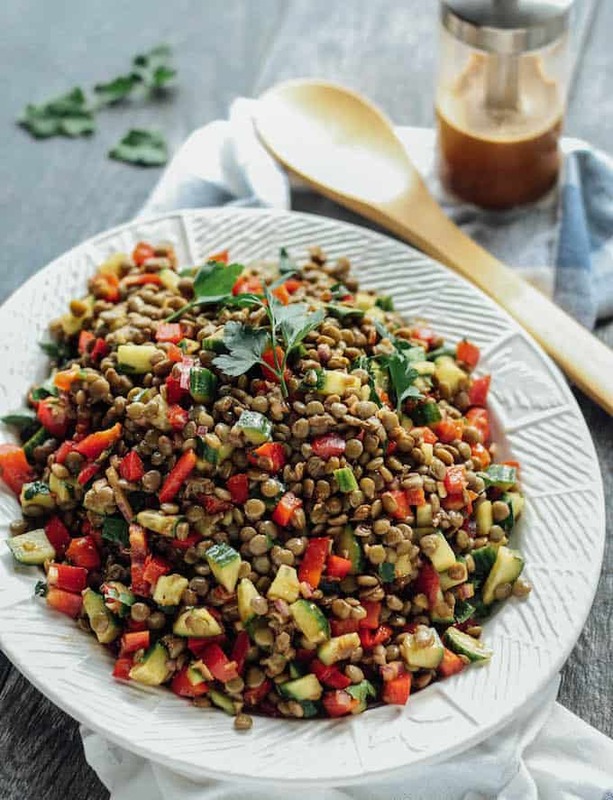 In a large bowl, combine the lentils, bell pepper, cucumber, onion, and parsley. Combine all the dressing ingredients in a blender and mix until smooth. Alternatively, you can whisk the ingredients together in a bowl.